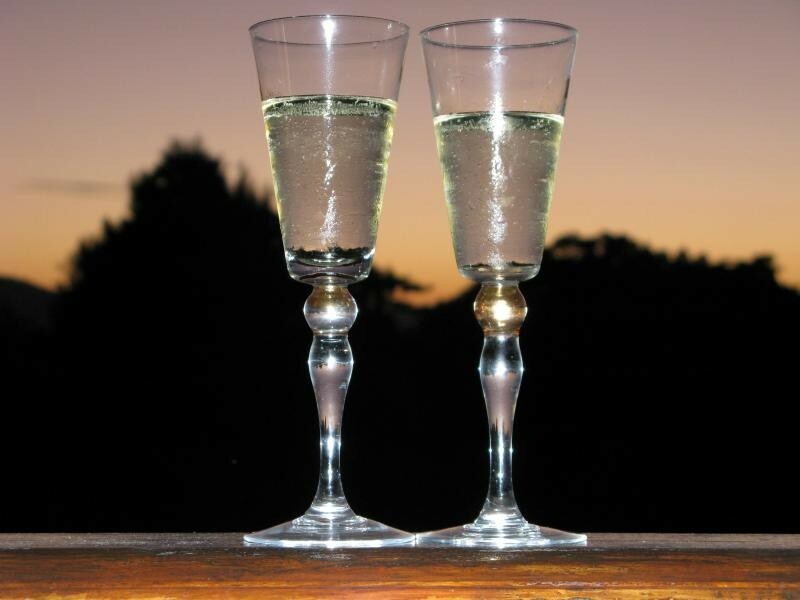 In the heart of the Garden Route, nestled between the town of Knysna and the famous Knysna Heads, lies Pumula Lodge - the place of rest. And that is exactly what the visitor will find when entering the gates of Pumula. The lodge, with its tranquil, parkland setting is the ideal place for local and overseas visitors alike. 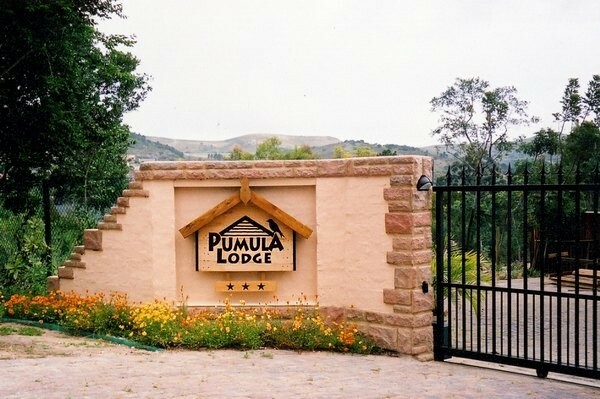 At Pumula you can get away from the hustle and bustle. 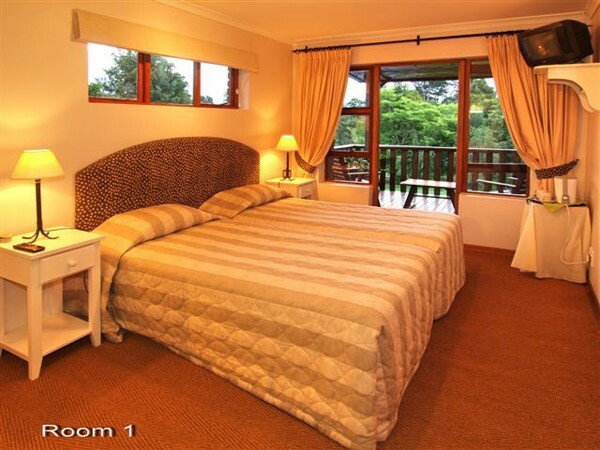 It is difficult to imagine that you are only five minutes away from the centre of town yet the location allows for easy access to the many attractions in the area: from playing golf at one of the many world-class courses, to dining out, or if you're feeling adventurous, hiking on one of the many trails in the area. The range of activities is extensive. 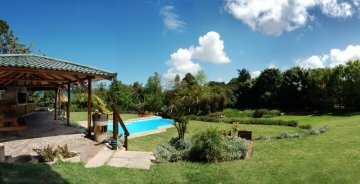 Pumula Lodge is situated on the Cape Birding Route and nature and bird lovers can enjoy the abundant bird life supported by the beautiful, indigenous garden. Over 127 species have been identified to date. 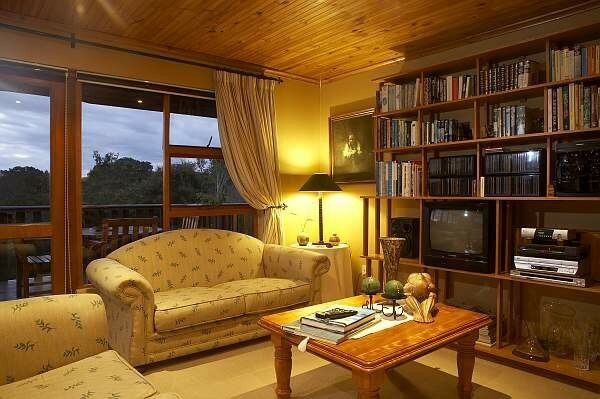 Pumula Lodge with its informal, relaxed and friendly atmosphere further offers guests a Tree-top breakfast, served in the well-appointed dining room. 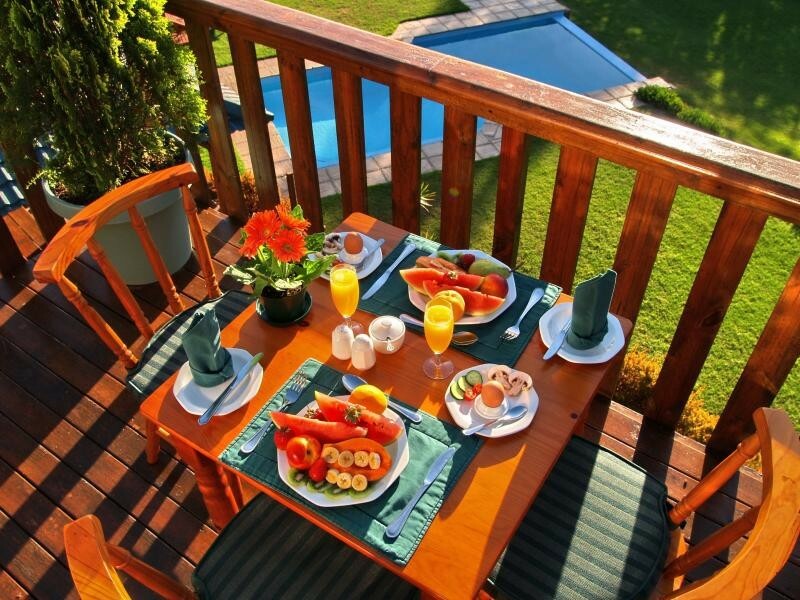 Wake up to the twittering sound of birds, take a stroll through the garden with the resident guinea-fowl family going about their daily routine, relax next to the sparkling pool, enjoy a barbeque or sit on your own private balcony, sipping coffee or a sundowner. At Pumula, your time is your own and true relaxation is the order of the day. In fact, your hosts, Peter and Rensia Ellis, insist that you do just that! Pumula Lodge has five beautifully finished and comfortable rooms (our mattresses are regularly sanitised by Hygienitech). Guests can enjoy a stay in one of the following: 3 x twin bedded rooms with en-suite showers 1 x double-bedded room with en-suite shower 1 x double-bedded room with full en-suite bathroom All rooms have a private balcony overlooking the garen and sparkling pool, a television, heating/cooling, as well as tea trays. Guests are welcome to use the communal kitchenette.